After my venture with those delicious short cakes, I wanted to make something else right away. Though the recipe is very similar, I modified slightly and used more proportion. Not sure what but these sure came out differently. I want to record all the experiments so that I can resort to whichever proportion I need when the situation arises. I baked these in a bread loaf and it very much looked like a bread to me, like those tea cakes or sponge cakes texture. Maybe I need to increase the proportion of corn flour next time, but the cake sure came out moist and soft. I added quite an amount of chocolate chip and it tasted heavenly in each bite. One thing I love baking in convection mode is the way the entire house smells heavenly. Nothing beats a fresh cake being baked. I couldn’t wait for this to get cooled. Imagine Konda saying it tasted great, I loved seeing her expression change, Chinnu of course sniffed his nose. He doesn’t like anything else but a chocolate flavour. If he had his way he would have removed all the chocolate chip from this. So didn’t show him the tin. I delicately sliced the cake into small pieces. Each went into the snack box for the next day. Athamma was again saying I should bake those chocolate biscuits as the boys like them a lot. I was much too involved admiring this cake, nodding absently that I will bake them soon. I had the day off today, but I took off saying I have work. Kids were busy with their new pack of sketch pens. So much so that an entire colouring book was completed and they hadn’t budged from their spot. 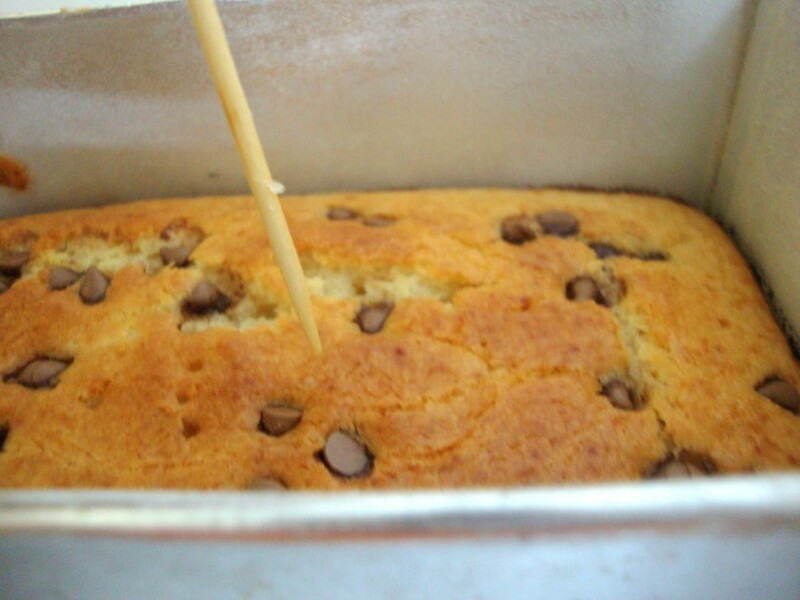 Ok let me show you the steps in making this delicious cake! 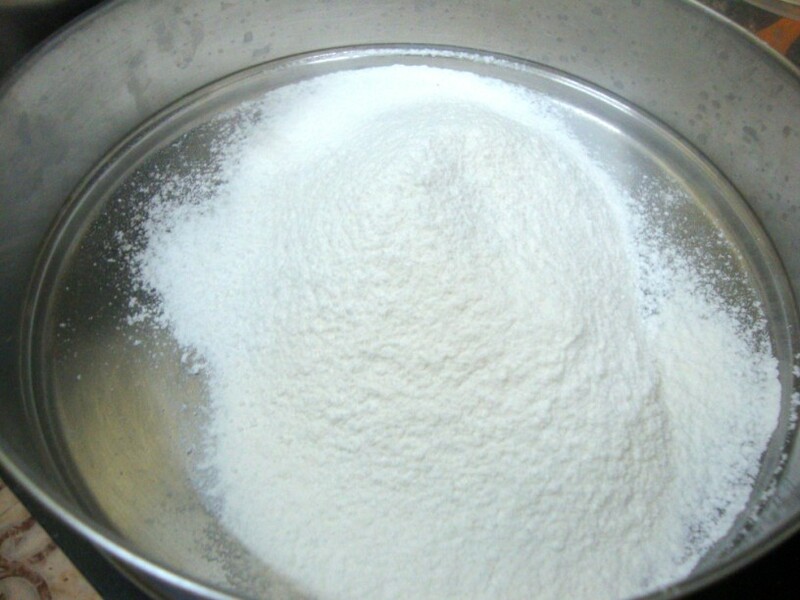 Shift the flour with Corn four, Baking soda, Baking powder. 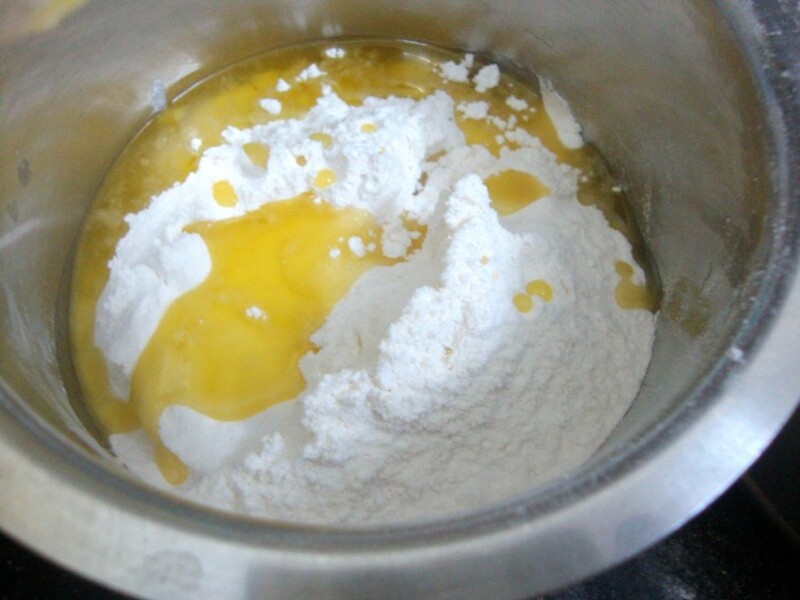 Add all the wet ingredients to the flour, mix well. Finally add the olive oil. 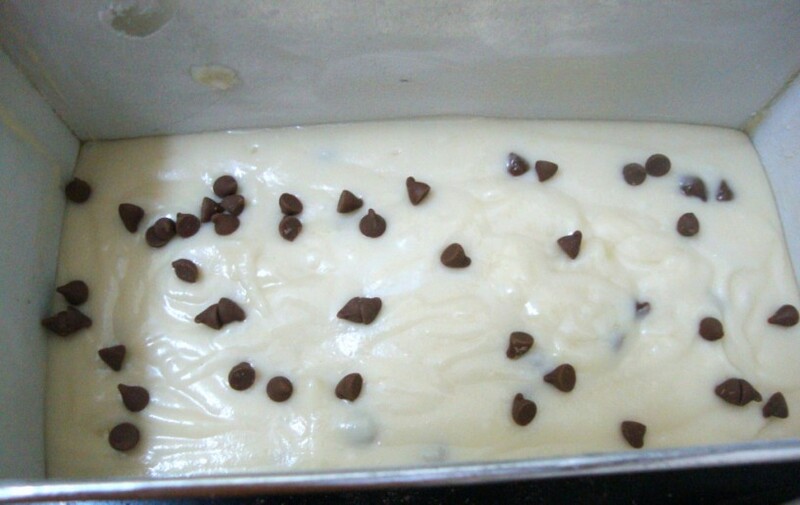 Add in as much as Chocolate chips you want, if you are like me, you will add quite some! 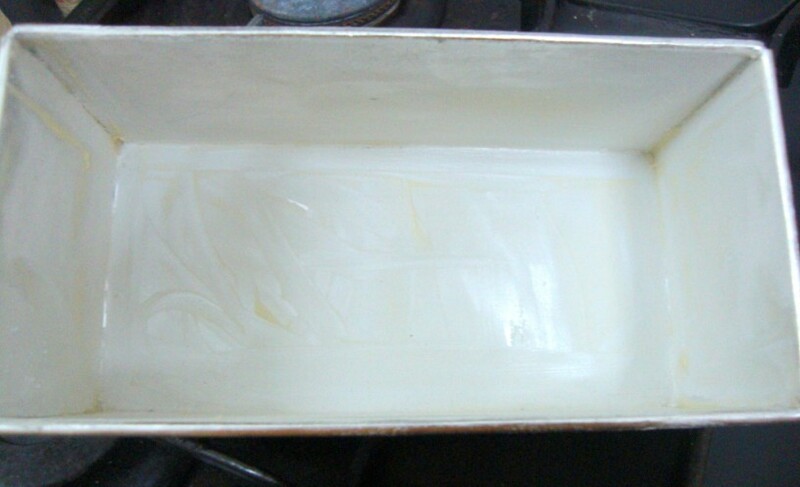 Grease and dust the loaf pan with butter and flour. Pat the pan down so that excess flour falls off. 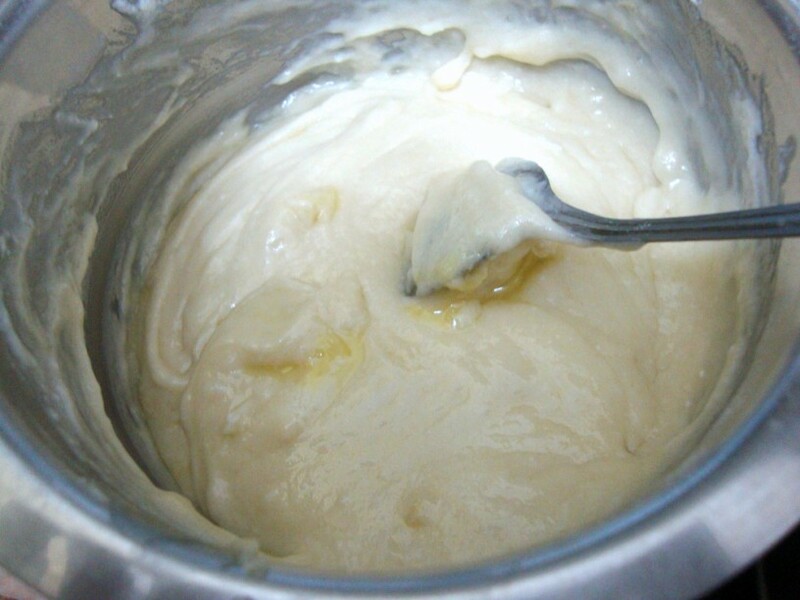 Pat the pan down so that the batter spreads well. 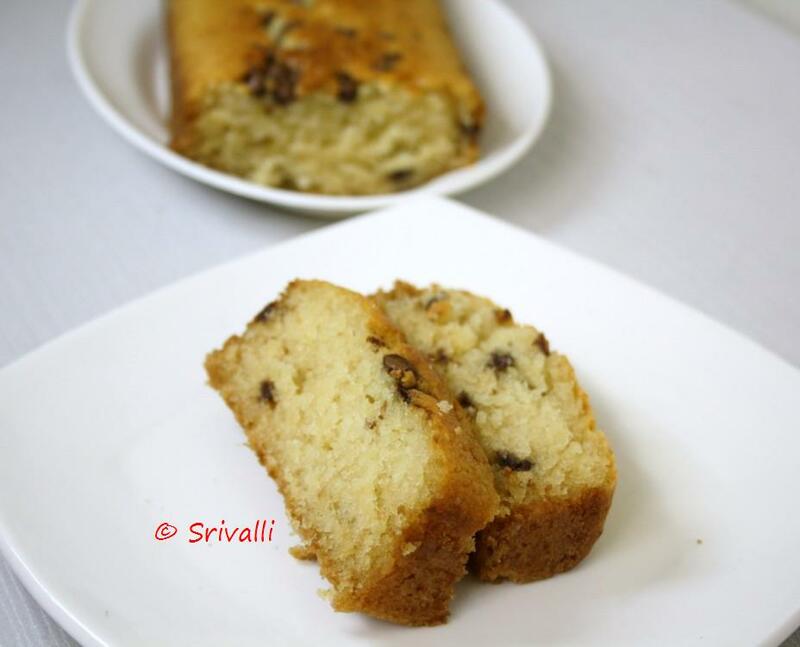 Don’t spread it with spoon, cake will not rise well. Don’t open the door between the first 15- 17 mins. Insert a tooth pick in the center to check the doneness. When the toothpick comes out clean like this, you know it is almost done. Bake for the rest of the time for more complete baking. Allow it to cool in the oven for 5 mins, before taking it out. Again let it cool completely before you slice it. Butter and dust the baking pan. Gently pat it down to remove excess flour from the pan. Shift the dry ingredients in a bowl. 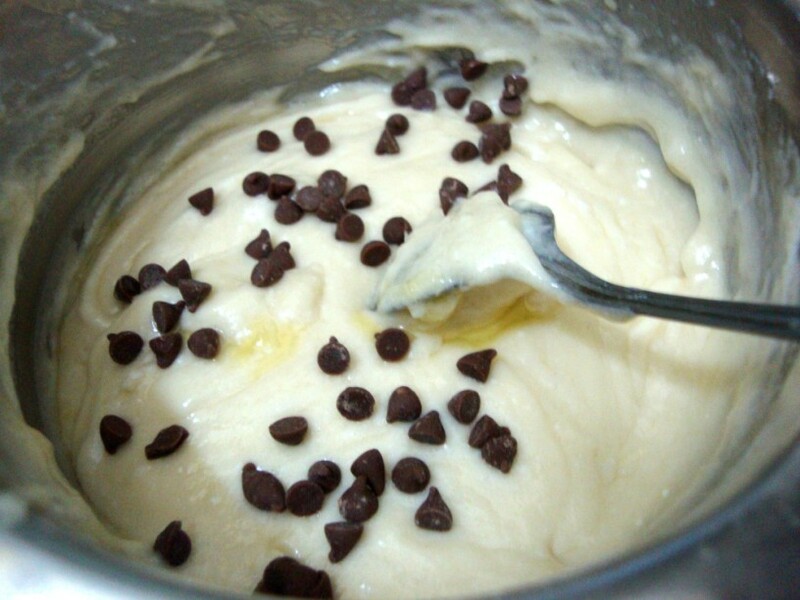 Add the chocolate chips to the batter and gently mix in well. Don’t beat at this stage. Check consistency, it should be pouring, else add 1 tbsp of milk. 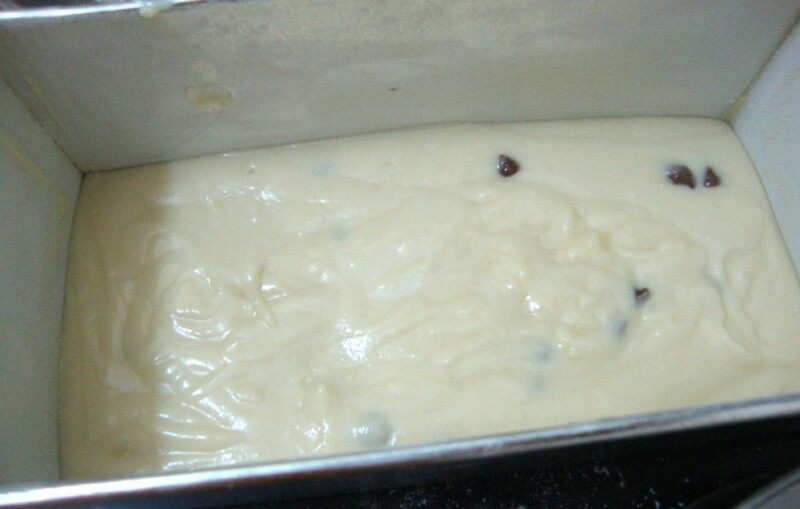 Pour into the prepare tin, tap the pan down for the batter to spread on its own. Don’t use spoon. Bake at 185 degree C for 25 minute. Don’t check for done ness until the first 15 mins. 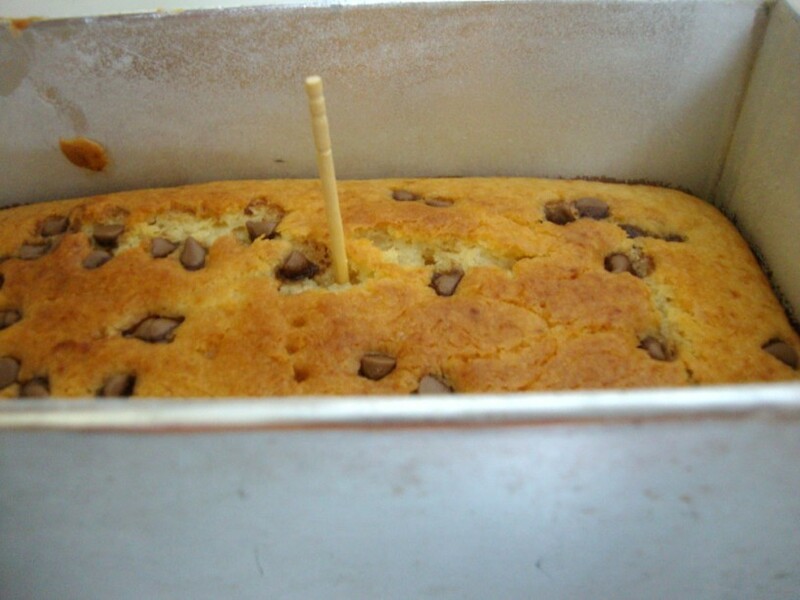 Use a toothpick to see if the cake is done. Insert the stick in the center and if it comes out clean, the cake is done. 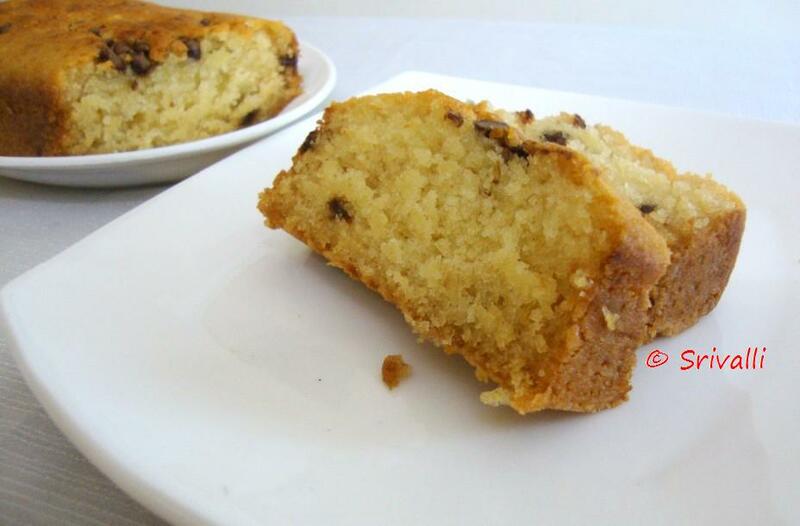 Slice the cake into small serving pieces when it is completely cooled. The cake looks soft and delicious! Check your FB msg. Valli. This looks good…your days must be packed with kids and work! They look absloutley yumm. Maybe in time chinnu will like them. cake looks soft n fluffy valli. this is very nice …my kids will love it!…will make it soon! I love that your cake is eggless since I'm always looking for ways to cut down on cholesterol. And it looks like this recipe turns out great without them. I have a linky party going on at my blog called "Sweets for a Saturday" and I'd like to invite you to stop by and link this up. Cake looks sooo gorgeous, lovely slices.. I so would like to eat one right away. Can I use this recipe to post at my place? Thanks Archana, you sure can. Just needed help from you. 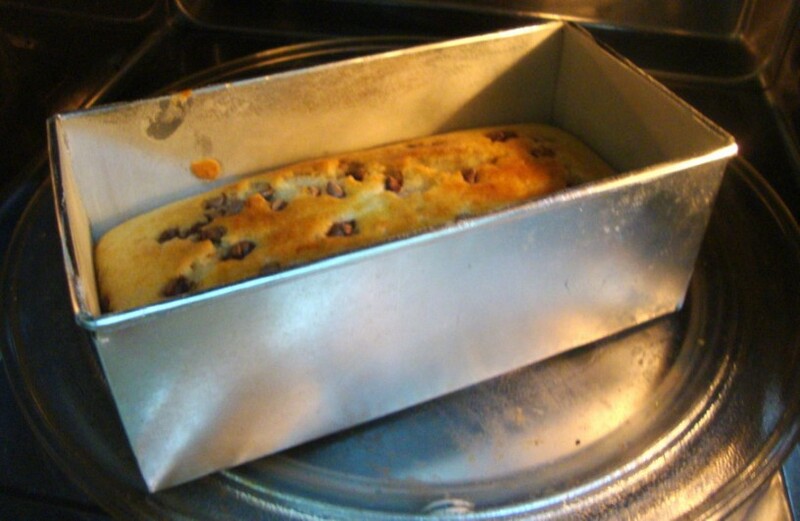 I tried out this cake in Convection mode of m/w oven and I used square glass dish in convection mode. 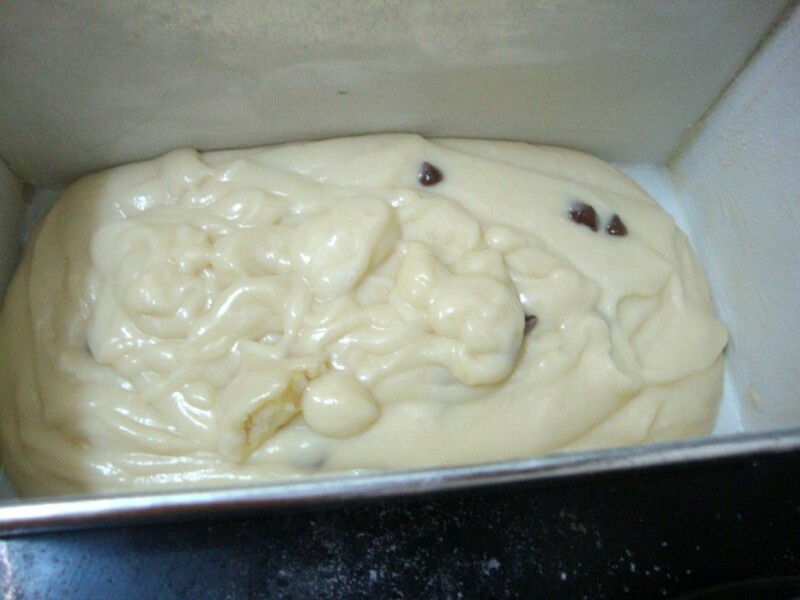 But in the end of the baking time the edges if the cake comes out ok but the middle is still left uncooked. Do you know the reason for this? Should I use dish that you have used here? 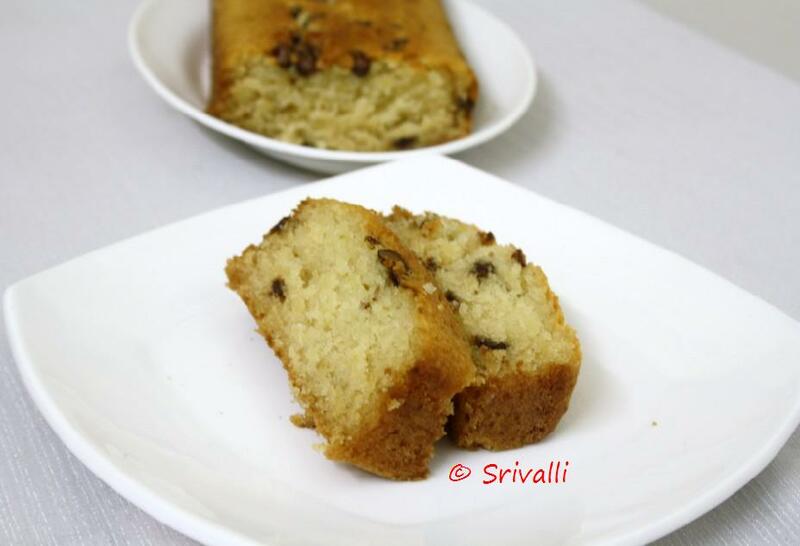 Pls pls help..
Vasudha, I think when you try in a different dish, you will probably need to increase the time, as thumb rule, in any cake baking you should not open the door for the first 15 – 20 mins. When you check for doneness, if you find that after 25 mins if the toothpick doesn't come out well, then decrease the time and bake for 5 -7 more mins. 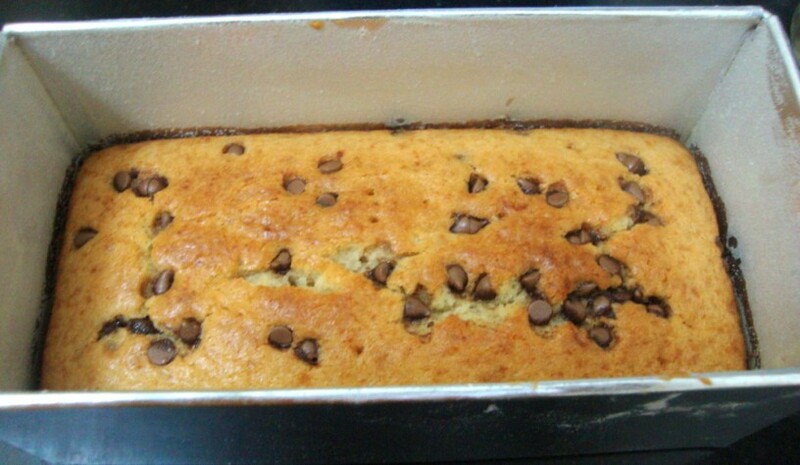 Hi tried ur vannila choco chip cake recipe..it came out so perfectly…tan q. What yoghurt do I use ? and in the ingredient s it written icing sugar , when do I add this? 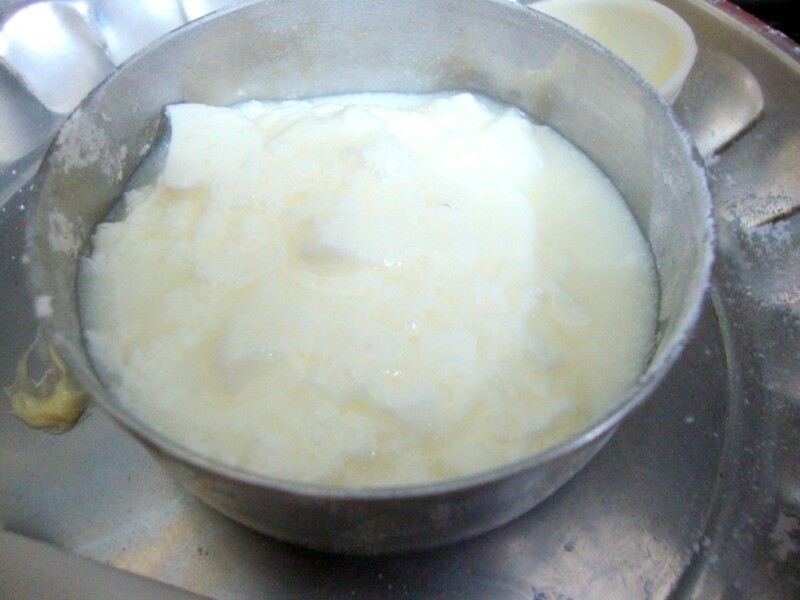 Anon I use the regular Indian Dahi. 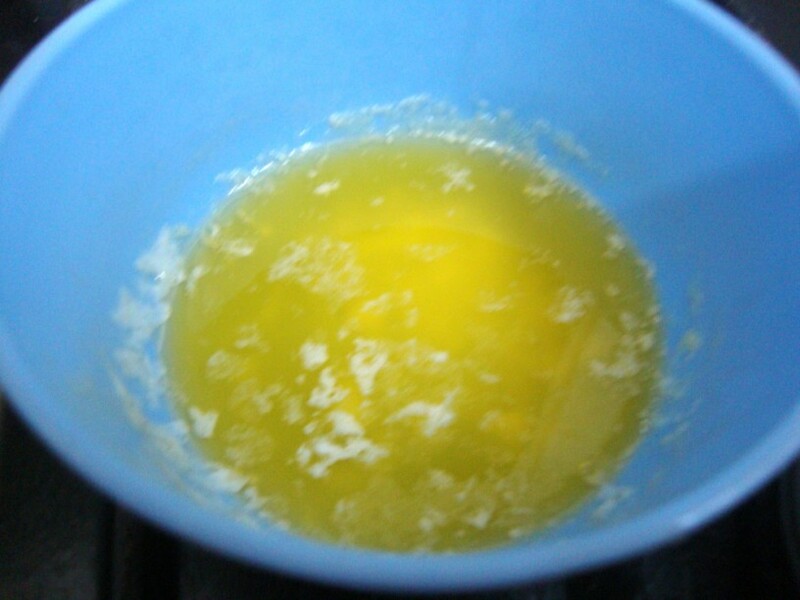 And the icing sugar is part of the dry ingredients to which butter and curds are added. I am the person who asked about the icing sugar and dahi. Thanks for replying back to me. I used a 8 inch circle baking tin instead. It took my cake 40mins to cook at 185 degrees. I have made so many various cake recipes but this been given a gold award. 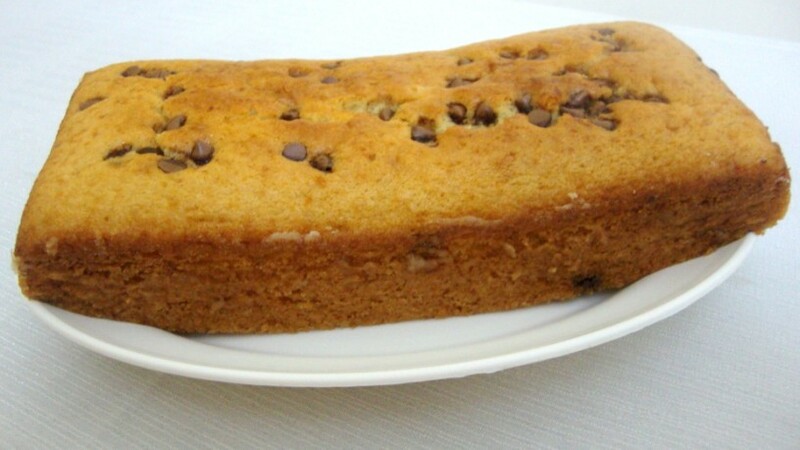 I made the cake again and tried RADIKHA,S comment on 29th jan 2011, I added 1/2 cup of butter and it did not come out so good. Made 3rd time and gave it to my Mama ji and Mami ji to eat. They gave it 100 out of 100.